Dot Dot Dot has been invited to contribute to London Assembly Housing Committee’s research into the role of property guardianship in the London housing market. Our submission introduces Dot Dot Dot and then addresses the specific questions in the committee’s invitation and on the GLA web page. We are publishing our submission here on our website, because we are proud of the way we work and we believe that the whole property guardian sector will benefit from increased transparency about approaches and practices – for the benefit of residents, property owners and the wider community. Scroll down to read it all, or jump to a particular section using the contents. If you have any questions or comments, all feedback is welcome. Please email us. Dot Dot Dot stands for property guardianship done in a way which serves the interests of property owners, property guardians and local communities. On behalf of owners, we take good care of buildings that would otherwise be empty. We provide guardians with good quality housing much more affordably than the private rental market. And at the same time we make a positive difference to communities by ensuring our guardians are great neighbours and encouraging them to volunteer for good causes, as well as preventing the blight that empty buildings cause. We provide housing across England, and we have a particularly strong presence in London, where we work in several boroughs. What makes Dot Dot Dot different? All our property guardians volunteer for at least 16 hours a month for a charity of their choice – this approach is unique amongst property guardian programmes. We are a social enterprise. We exist as a business to make a difference, and supporting the volunteering efforts of our guardians is the way we do that. Good people make good guardians. Those who choose to volunteer tend to be conscientious people who would like to do their best to help others. This means they are particularly suited to being property guardians, as they will look out for the building and their neighbours. Volunteering is a way to support those in need who are themselves not suitable to be property guardians. Guardianship suits people who are resilient and flexible, because guardians have a duty to look after buildings on behalf of property owners and to move out at 28 days’ notice when required. This means that we cannot offer our inexpensive housing to those who are the most vulnerable. We have an overwhelming waiting list of people who would like to be housed by us, and it is not appropriate for us to house the most vulnerable or the most able to pay, therefore we choose to prioritise those who would like to use the opportunity to reduce their living costs as a chance to help those who need it most. Volunteering is not just for saints. It has a significant positive effect on the lives of people who undertake it – learning new skills, building new connections and finding a new focus. With time and money freed up by the reduced living costs as well as support and a sense of community around charity work, guardians are able to give time to causes they care about, and many choose to join us for this reason. How does Dot Dot Dot work? We were founded as a social enterprise in 2011. Over the past six years, we have seen that a wide range of property owners, across the country and from the private, public and third sector, have chosen to work with us because they want to be confident that their buildings are in safe hands, because they want 100% compliance with legal and health and safety best practice, and because they would like to see their empty buildings used in a way which benefits neighbourhoods and the wider community. It has been fantastic to see that our model works just as well in rural Cambridgeshire, in Sheffield and on the south coast as it does in Notting Hill and Tower Hamlets. On top of that, it is a real pleasure to house guardians across the age spectrum and with every kind of job from architect to zoo-keeper (yes, really). And it is a daily privilege to hear about the brilliant voluntary work they do. Last year, they gave 56,000 hours, which is the equivalent of 30 working years of volunteering for good causes. 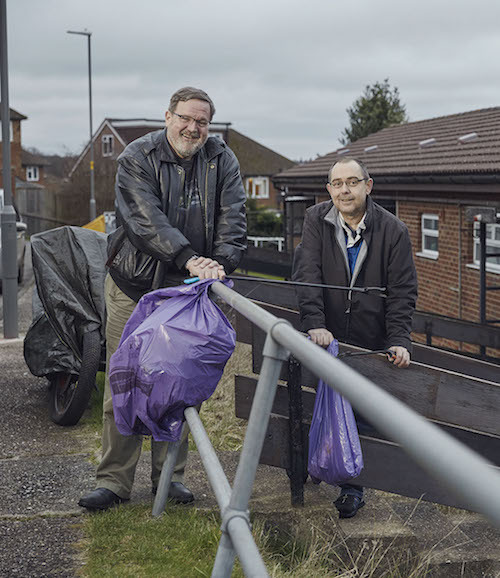 Within those statistics there are any number of inspirational stories of help being given where it’s needed – Tim and Jon building community in High Wycombe through their litter-picking, Emilija’s mixture of east London volunteering and Joe teaching children circus skills in Sheffield. Our focus on quality and social responsibility means that we have always sought to push up standards in the property guardian sector. In the last year, we have set out in detail the standards that guardians can expect from Dot Dot Dot, and over the coming years our goal is to continue to set an example of best practice. Apart from this submission, how else is Dot Dot Dot contributing to the London Assembly’s investigation into the property guardian sector? Three members of our team have requested an invitation to the Housing Committee’s roundtable on 18th July. We are also working with other responsible property guardian organisations to publicise the legal minimum standards all property guardian companies should comply with – standards which we at Dot Dot Dot already consistently meet or exceed. We are one of the organisations mentioned in Graham Sievers’ email to Charlotte Harrison on 23rd June, in which he explains the steps we have taken and the brief which has been given to a leading solicitor (Giles Peaker of Anthony Gold Solicitors) and barrister (Mr Arden QC of Arden Chambers). These legal experts are compiling an outline of the laws as they relate to property guardian companies, with explanations of the legislative sources of these requirements. We anticipate this document (hereafter referred to as “Peaker-Arden document”) will be shared with the Housing Committee in July 2017. Our responses below therefore do not cite in detail the legislation relating to property guardianship, to avoid duplication. What type of person becomes a property guardian (age range, gender, employment status)? All sorts of people become guardians with Dot Dot Dot. We currently house people between the ages of 20 and 70. They have all sorts of jobs too: Teachers, cleaners, magazine editors, librarians, health workers, engineers, midwives, DJ’s, students and dancers. Filling out this quiz. If property guardianship is suitable for them, we will invite them to fill out an application form. Filling out an online application form. This form asks a bit more about them, and the ideas for volunteering that they would like to be involved in. Attending viewings. If their application is successful, we will email them with lists of viewings we will be holding each week. When they find a property that they like, we will hold a telephone interview with them. If this is successful, we will start the referencing process. They will need to pay their deposit and provide us with proof of ID, proof of previous address and proof of income. We will also contact their references. The last step is to have a meeting in our office where we will go through the contract, our guardian handbook and hand them the keys. Why do people become property guardians? People become Dot Dot Dot property guardians for different reasons, whether that’s because it opens up a new way of living for them, or it makes their existing lifestyle easier and more affordable. However, all our property guardians share some characteristics: they are resilient, financially stable, conscientious and committed to volunteering for at least 16 hours per month. It enables people to live in places otherwise not possible. 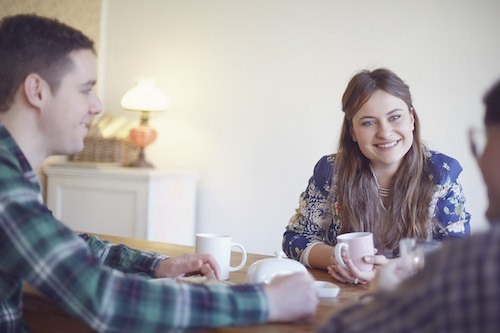 Well-managed property guardianship creates affordable accommodation typically in cities where lots of people would otherwise face being priced out – our partnership with Cosmopolitan Magazine’s “Home, Made” campaign struck a chord with a lot of young women. It frees up their time to do other things. Good things happen when people struggle less to keep a roof over their heads: it frees up time and energy to spend on other things. In our case, we are particularly happy with the amount of volunteering we enable. 56,000 hours in 2016 alone (the equivalent of 30 working years for charity). It’s a realistic way to build up savings. Whether it is for a deposit on a home or a course or a holiday, one third of our guardians are using their time as a guardian in order to save up money. It suits people who seek flexibility. We house a lot of people who enjoy travelling or who have jobs which require them to move around. Our guardians are not tied down. They can give us 28 days’ notice and then move out with no ongoing commitment. Does the temporary accommodation licence impose restrictions on who can become a guardian? Dot Dot Dot is very clear about who we do not house and why (the info below is an excerpt from this 9th March 2017 blog post). Looking to live with any pets. Looking to use the property for business or public events. We do not house minors or people with children living with them. The core role of a property guardian is to secure the building they live in, and guardians have to be ready to move out at four weeks’ notice. This function as building security and a lack of long-term stability is not suitable for children or families, who have a clear need to remain close to the schools, GPs and other services they rely on. Similarly, vulnerable people without children would not pass our application and vetting processes. People with support needs or serious health problems need a long-term home where they can access services and receive help and care, and guardianship does not provide that. It’s important to note that we do not believe property guardianship is a solution to the housing crisis or an alternative to social housing. Property guardianship done well is a way of mitigating the problem of expensive housing for people who are suited to this style of living. This is a relatively small group, with estimates that there are currently fewer than 10,000 property guardians throughout England. Although it is a small sector, it is growing and for every suitable person who it removes from the private rented sector it marginally reduces the upward pressure on rents for households continuing to rent privately, by increasing the supply of housing. Dot Dot Dot is an organisation committed to providing an equally high-quality service to property owners, property guardians and the communities in which we work. We are transparent about our standards and we always work to them. We house people who can commit at least 16 hours of their time per month to support good causes. 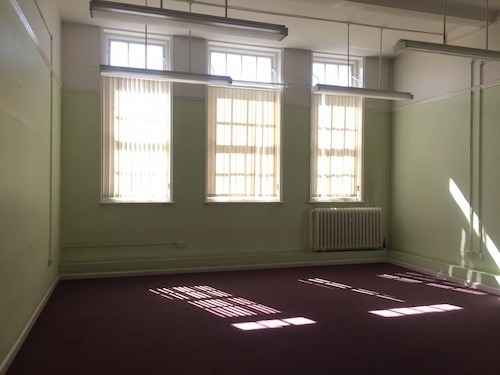 Our guardians are not the most vulnerable people in society, but through our housing, they make good use of buildings that would otherwise stand empty and their skills and energy are used to help organisations which make a difference for the local community. Where the timeframes make it possible, Dot Dot Dot fully supports the use of buildings for rent or Temporary Accommodation. As a social enterprise, we want to see housing allocated to those in the highest housing need with the greatest possible security of tenure. 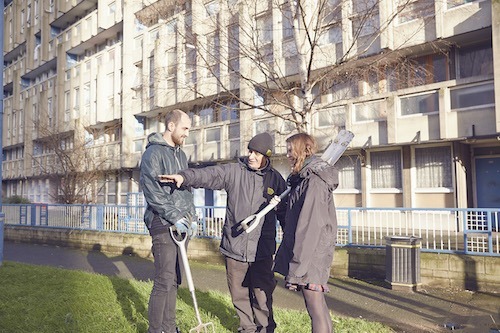 However, where buildings cannot be used for temporary accommodation, we strongly believe that housing conscientious property guardians is better than leaving them empty or demolishing them before it is necessary to do so, for everyone involved. Legal considerations property guardian companies must meet (such as carrying out Right to Rent checks, which is part of our process) will be set out in the Peaker-Arden document. What legal rights do guardians have and how do they differ to those of private renters? Dot Dot Dot has spelled out the differences between property guardians’ rights as licensees versus the rights of a renter or tenant in this blog post of 10th January 2017.
they agree to a non-exclusive possession of the property (which means that the property guardian company or the property owner can enter the property without giving notice). We always provide at least 28 days’ notice when we require guardians to end their guardianship. We provide information about what is expected of them throughout the moving out period. 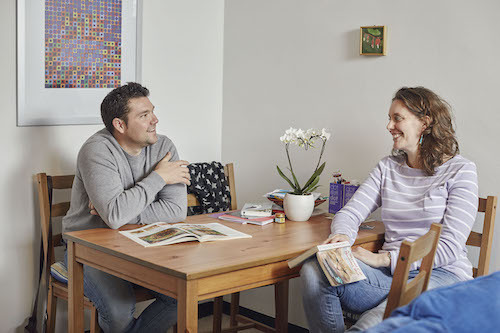 We offer rehousing options to as many existing guardians as possible, however no guarantees can be made about the provision of further housing with Dot Dot Dot. Visits to properties are made with respect for privacy, and we verbally announce our arrival into rooms and spaces. Each of the buildings that we manage are the day-to-day responsibility of a named Relationship Manager, supported by other staff within our team. Dot Dot Dot staff always carry photographic ID. Outside these differences, licensees are entitled to the same protection as tenants with regard to health and safety, fire and HMO legislation as well as from the Protection from Eviction Act. Beyond this, guardians have a role in taking care of the buildings they live in – this need to be a highly responsible occupier necessarily forms part of the selection process and shapes who can and cannot be a guardian. It is a concern to us if not all participants in our industry uphold these legal requirements. As well as the obvious risks this creates for guardians and property owners affected by illegal behaviour by property guardian companies, we fear that good potential property guardians will be put off by negative stereotypes, and owners of empty properties will opt to board up buildings rather than using property guardians if the industry loses its good reputation. A legal overview on the difference between guardians’ and tenants’ rights will be included in the Peaker-Arden document. What is the typical state of a guarded property? Part of Dot Dot Dot’s public commitment to all of our property guardians is that we only house them in buildings that are safe, secure and well-managed. We are working towards certification for ISO 9001 (anticipated in July 2017), which will be external validation that our quality management system is robust. Dot Dot Dot buildings are at a standard that meets or exceeds the health and safety and fire safety standards legally required were the property rented in the private rented sector, and maintained in this condition for as long as property guardians live in the property. Necessary repairs are carried out according to a clear timescale. Is there a minimum health and safety standard for a vacant property before it is protected by property guardians? What steps do you take to ensure this is met? In terms of the minimum health and safety standards which Dot Dot Dot requires and how we ensure they are met, we set these out clearly in our Property Guardian Standards. We exceed legal minimums where we can – for example, in all buildings with a gas supply, we place carbon monoxide alarms and display gas safety certificates. Where we take on buildings which don’t meet these standards when handed over to us, we undertake works to improve them to the required level. Depending on the building, this might include upgrading fire detection systems or altering the access of a building to ensure easy escape. Our operations are managed and organised to ensure that properties meet this condition before guardians are placed, and are managed and kept in this condition. This is an important part of our ISO 9001 quality management system. A legal opinion on this point will be included in the Peaker-Arden document. How many properties do you protect using property guardians in London? We currently protect hundreds of buildings for a range of property owners in London, housing hundreds of people. We secure properties ranging from single-occupancy units, through to large estates and former commercial and institutional buildings such as offices and schools. Has demand for guardianship from guardians and property owners increased or decreased in the last ten years, and by how much? How do you expect this to change in future? Since Dot Dot Dot was founded in 2011, demand from guardians and property owners has continually increased, although it is difficult to quantify exactly how much this is due to growing need in the market, as our growing reputation as an excellent provider has increased the interest we receive. In parallel with our growth, the property guardian industry has changed and developed too. It has become a far more conventional and familiar choice, for property owners and for guardians. Back in 2011, many property owners had never heard of it as an option, and others were wary of it because they weren’t confident that it would keep buildings as safe as boarding them up. Today, it is a standard tool for managing buildings, and it’s widely understood that allowing responsible, well-managed guardians to live in properties deters crime and anti-social behaviour more reliably and cost-effectively than any other security solution, while also preventing dilapidation and avoiding the blight that empty buildings bring to an area. 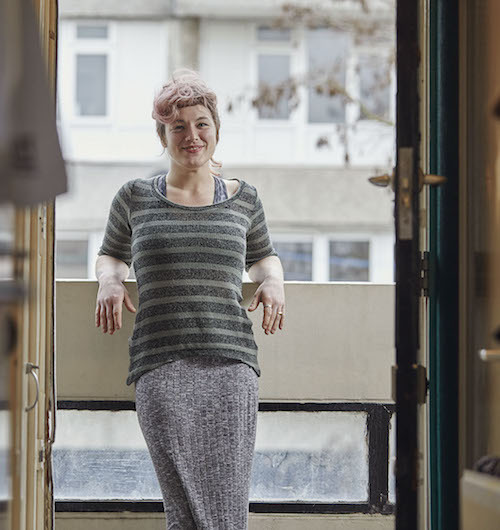 Similarly, guardianship is no longer seen as an edgy housing option suitable only for young people seeking artistic or unconventional lifestyles. While the flexibility and resilience it requires mean it doesn’t work for everyone, a wide range of people of different ages, backgrounds and professions are finding that it is a good way to live more affordably. We expect demand to continue for the foreseeable future, with price rises in the private rental sector continuing to outstrip earnings. At the same time, on 20th April 2017 the Guardian reported that there are 200,000 empty homes in England alone, and that doesn’t include the large number of empty commercial buildings. What impact do guarded properties have on local communities? It’s always better for buildings to be lived in than not lived in where it can be safely done without causing disruption to neighbours. Dot Dot Dot’s approach is explicitly geared towards creating positive local outcomes as well as preventing the blight that empty buildings can attract. Social value – Dot Dot Dot is the only property guardian company which is a social enterprise. All of our guardians are recruited because they do great volunteering, or are willing to be supported by us to do so. They all commit to volunteer a minimum of 16 hours a month for a range of local and national causes. Our experience shows that people who also volunteer make friendly and attentive neighbours. Reliable security & monitoring – our guardians maintain footfall and their presence deters undesirable behaviour. They act as the eyes and ears on the ground, reporting repairs and anti-social behaviour. Placemaking – Our property guardians create enthusiasm, new activities and positive stories through their work and volunteering. They maintain and build a sense of community while places are in transition. Older or more vulnerable residents benefit too – because our guardians are responsible, sensitive people, they are especially appropriate to move in to sheltered or supported living schemes alongside long-term residents, since decants can take a long time. Many focus their volunteering on causes that benefit their neighbours and help residents feel safe and secure. See this case study. Adding to the available housing options in neighbourhoods – all of our properties are advertised locally on conventional platforms such as SpareRoom and newsletters. What are the advantages and disadvantages of using property guardians to secure vacant property compared to other security measures? In Dot Dot Dot’s experience, property guardianship is an excellent security solution, but it goes far beyond that. 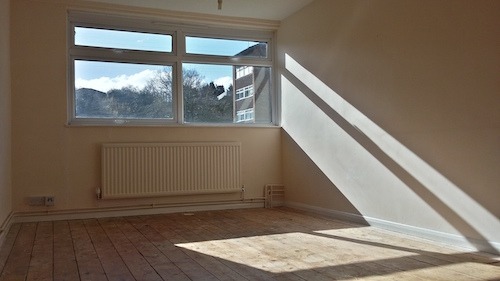 Property owners come to us to create housing, to look after building which are empty for an interim phase (before refurbishment, sale or redevelopment; or after a purchase) and they want the building to be as useful as possible. These buildings are not suitable for tenants due to the unpredictable and potentially short time periods, however paying for a straightforward security service is not a sensible use of resources either. Housing property guardians keeps options more open for property owners, who retain flexibility for future uses. What types of property owner use property guardians to protect their vacant property? All types of property owner use property guardians: property developers, local authorities, housing associations, charities and individual private owners. Is there a need for changes to regulation and/or legislation to make the sector operate optimally for all parties? The Peaker-Arden document will set out the law as it stands. Our view today is that current laws and regulations are sufficient. However, working across London and England, we see inconsistencies regarding how local authorities treat property guardianship from a planning perspective. Are there any examples of good practice or lessons learned from malpractice the PG sector could take forward? We believe that the steps we are taking along with several other responsible property guardian companies are very positive for all stakeholders involved in the property guardian sector. We met as a group for the first time in January 2017, and after a handful of meetings, we have co-funded senior legal opinion (the Peaker-Arden document). Following receipt of the shared legal advice, conversations with other property guardian companies will continue about best approaches to raising standards across the industry. It is important to see that all organisations conduct themselves on the basis of a shared understanding of minimal standards. With regard to malpractice, the recent series of incidents involving Camelot in Bristol, do not paint the property guardian sector in a positive light. We posted our reaction to the incident on 28th February 2017. What could the Mayor do to help the sector operate optimally for all parties? – Use all powers available to him to ensure that London’s buildings are never left empty when they could be used to provide housing or other useful space for Londoners. Property guardianship is one of a menu of options for preventing buildings from lying empty, and the mayor should promote it as a solution for appropriate buildings and contexts. – Promote and enforce legal compliance and best practice across the private rented sector and the property guardian sector. Because the huge majority of health and safety regulations which apply to the private rented sector also apply to property guardians, this will ensure that guardians as well as tenants receive housing that is safe, and will prevent rogue providers from operating in the property guardian sector. – Use his powers to provide appropriate housing for London’s most vulnerable families and individuals. While property guardianship is a great solution for people who are able to be flexible and resilient and who wish to save money by choosing this housing option, it cannot provide suitable housing to people who need greater security of tenure. If vulnerable people are pushed into property guardianship because better options aren’t available, this is problematic for residents and property guardian providers alike.